St. Louis Catholic School - Get Involved. Make Friends. Enjoy Motherhood. 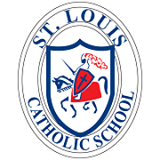 With 110 years of academic excellence, St. Louis is a licensed and accredited Catholic Early Learning Center, primary and middle school. Our children are valued, challenged and encouraged to achieve their highest potential. Our students test two years above grade level on national exams. We offer scholarships and tuition assistance, and have one of the lowest tuition rates in Boulder County. We seek to foster our students’ love for God and for their neighbor and strive to reinforce the virtues parents hope to instill in their children. Our licensed professional teachers and small class sizes help us be attuned to each child’s unique needs. St. Louis Catholic School is where you belong!